This problem leads to a variety of problems and solutions, ranging from bundling options to project restructuring. 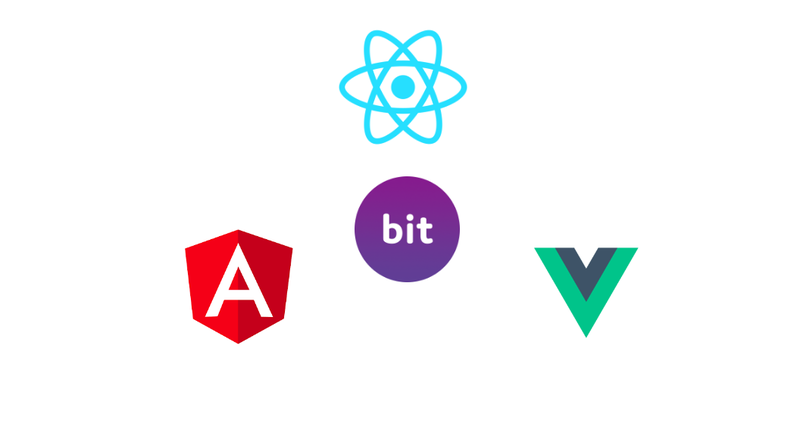 In this post, I’ll show how I use Bit to pick a single component from a given library and individually install it via NPM/Yarn without refactoring a single code line. A couple of years ago I was working as a front-end dev at a big company. As part of a project my team was working on, I was asked to choose a few React components for our application’s UI. I liked Belle, and decided to use it. However, we didn’t really need the entire library. We needed about 4 or 5 components, to be used in a couple of different apps. Technically, we could create a package for each function or component, but there’s a reason almost no one does that. The overhead of creating and maintaining a node package is HUGE: You create a repository, set up the environment — configuration, build, test, bundling — and then publish the package. That takes a whole lot of time, and that’s just for one component. What happens if you have dozens of them? What if we could go over a whole library, choose the component we need just like we pick a tomato at the grocery store, seamlessly isolate the component from the rest of the project, and use it right in our app? Think about it: we could have access to every part of any given source code project, and install it as an out-of-the-box component for a new app. Using Bit this workflow not only becomes possible, but also scalable. Instead of installing an entire library, you can isolate and use the components you need, and even develop them right from the new project (that’s another post). What I’m about to demonstrate can be done by any library’s maintainers to make their components available to the community, or by any community member like me working with open source libraries. Let’s see how it works. successfully initialized a bit workspace. Note that we’ve isolated components from four different directories. For the first two, components and utils, we’ve also dynamically added test files. We can see that Bit recognizes missing package dependencies for each component separately. Bit also autmatically recognizes the dependencies between your newly-defined components. Once you track the components using Bit, each component has an isolated component environment, which ensures its completely decoupled from the rest of the project — the component has other components it depends on, and, of course, node packages it depends on. This environment enables you to to use and develop components from other projects. For example, components written in typescript can be used and developed in a project written in flow-typed. All is well. Next step is to import a compiler and a tester for the components. Defining a compiler for Bit components allows you to install the component and use its built code directly, and defining a tester will make bitsrc.io run the component’s tests and display the results, thus helping you make sure the component is functioning properly. This is also a major advantage since it saves the overhead of individually configuring these environments for every components/package. Our components are now ready to be versioned and exported to bitsrc.io, and then used individually. Next, we’ll export the components to a bitsrc.io scope. bitsrc.io is the components hub, where you can share and discover components, and it’s free for open source forever. Now that the belle components are on bitsrc.io, it’s time to go back to out original purpose — using an individual component without the rest of its parent library. The easiest and most natural way would be to consume it as a node package, right? But then we’re back to the whole overhead of creating and maintaining packages. Well, every component that is exported to bitsrc.io is automatically made available to install as a node package from the Bit package registry, using thr NPM client. First, let’s configure bitsrc.io as a scoped registry. 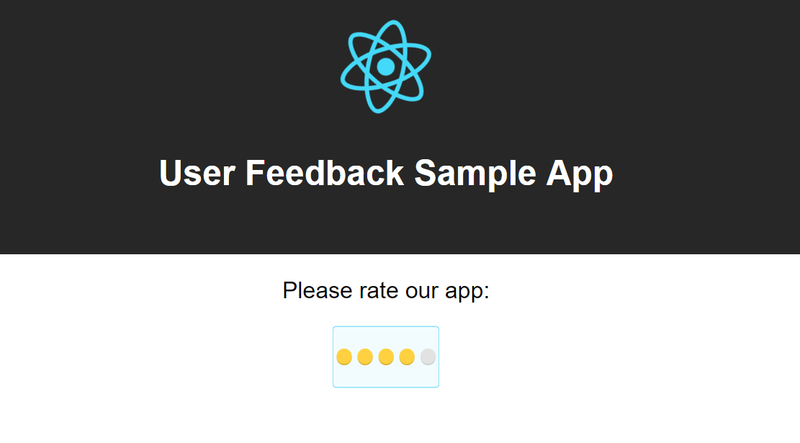 Now, let’s see how we can use the Rating component in the user-feedback-sample project. The first step of consuming a package is installing it. Now we can just import the package in the code and use the component! 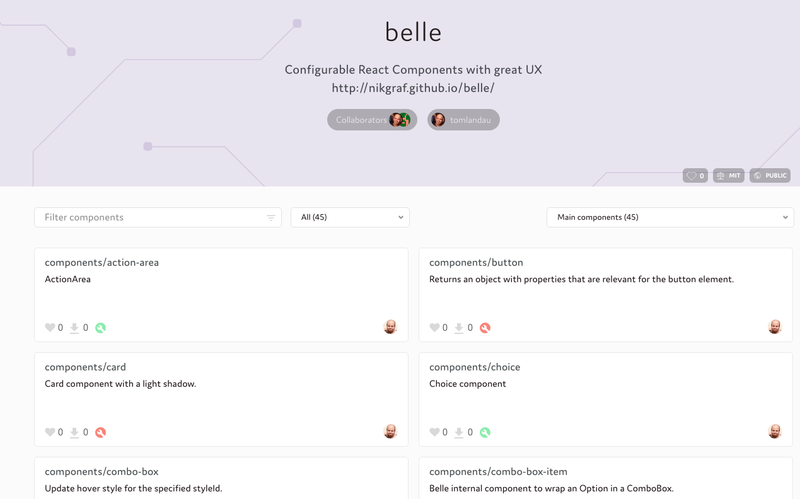 We’ve isolated the belle components using Bit, and exported them to bitsrc.io so they can be shared, discovered, and used individually as packages. All that was left after that was just installing the package and using the component, without the rest of the library!